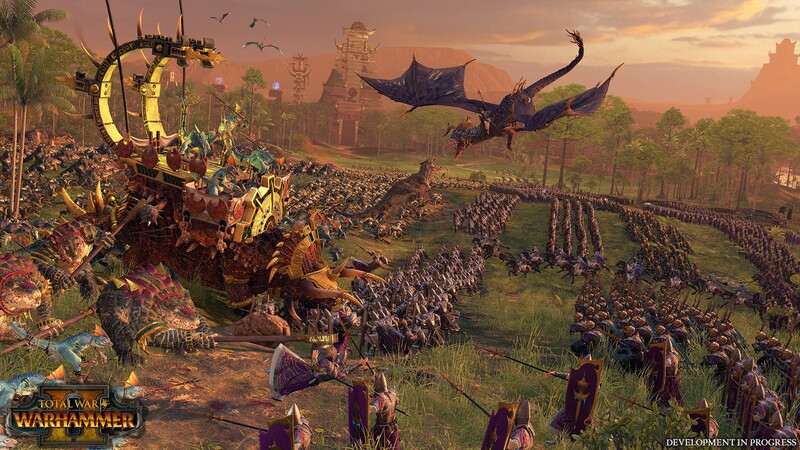 Total War: WARHAMMER II is a truly grandiose strategy game. You have to choose one of four unique races and start an epic war in order to save or destroy the huge and bright fantasy world. The game consists of two main parts - a turn-based strategic campaign in the open world and tactical battles in real time among the bizarre landscapes of the New World. You will be able to delve into the intricacies of global politics in a carefully crafted campaign and enjoy the endless variety of online battles, making your own army from your favorite squads. 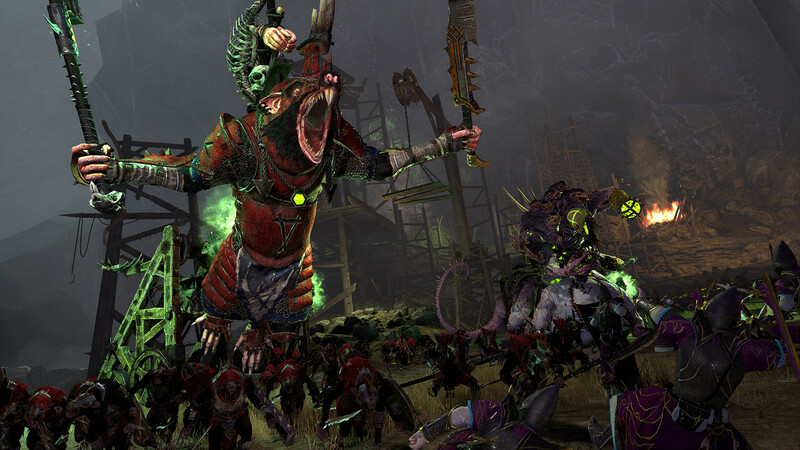 Whatever your preferences, Total War: WARHAMMER II will give you hundreds of hours of exciting games. Engage in politics, diplomacy, research and military affairs in turn-based mode. Capture, build and develop cities to hire and maintain huge armies. Train and equip famous lords and heroes. Negotiate with potential allies and declare wars to those who block your path to your intended goal. 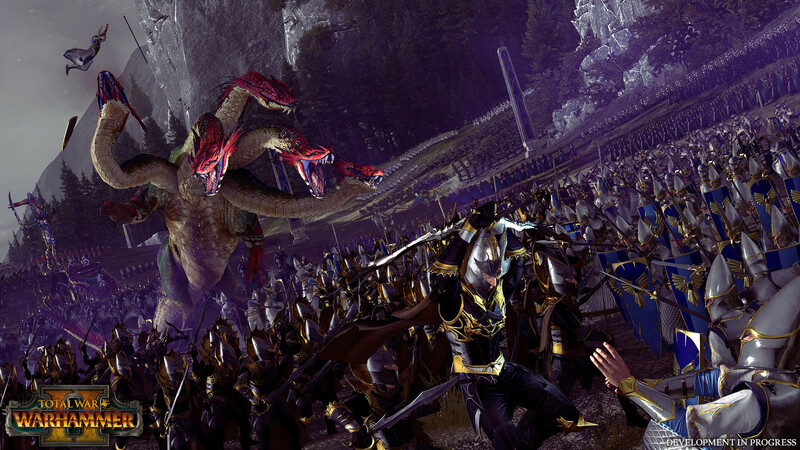 Lead thousands of armies in intense tactical battles. 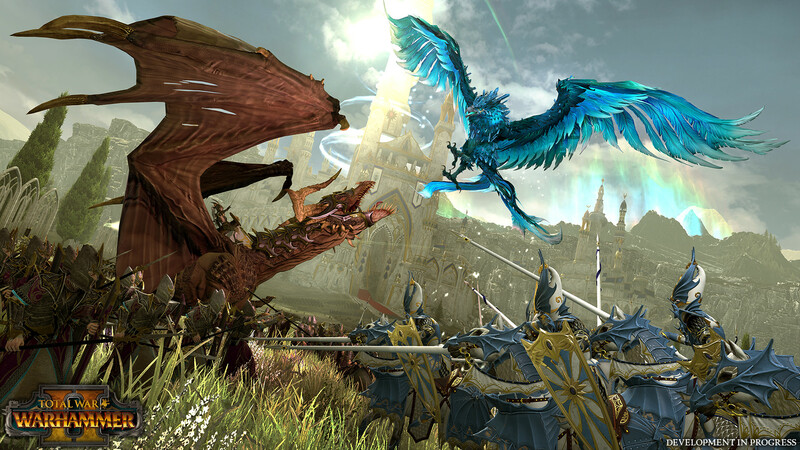 Throw fire-breathing dragons and other bloodthirsty monsters into battle, use spells of tremendous power and time-tested tactics, or press the enemy with a number - the method is not important, only victory matters. 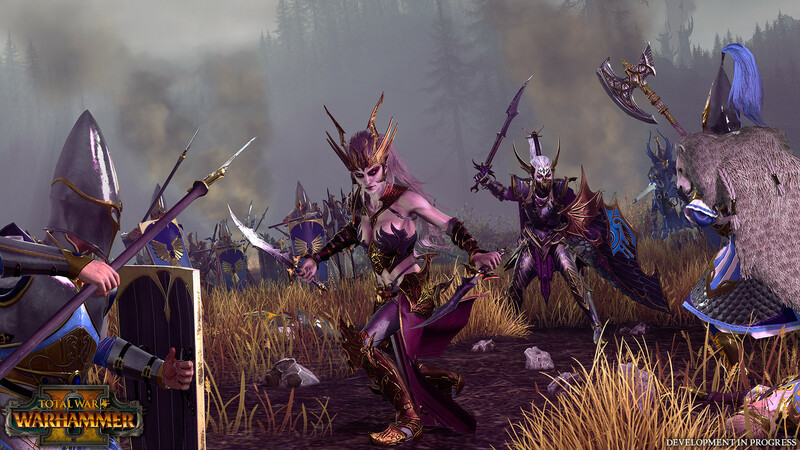 All races of Total War ™ WARHAMMER II will be available in a single and network campaign, as well as their own and online battles. 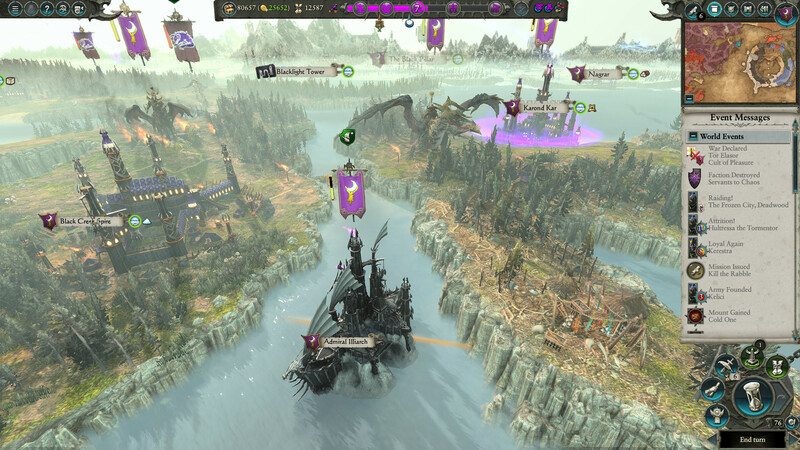 Since for each race there are 2 legendary lords with unique starting positions, you can go through the campaign with a friend, playing for the same race. 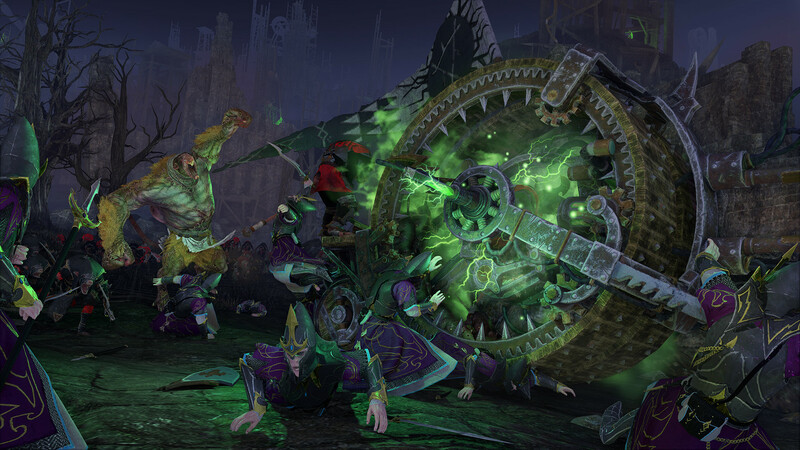 If you have both games in the series, all the races included in them will be available in the online game.